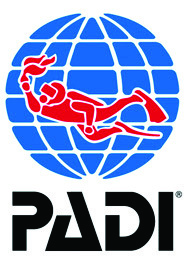 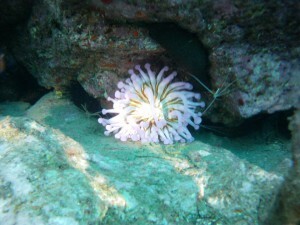 Bahia Lila is accessible to all dive levels. 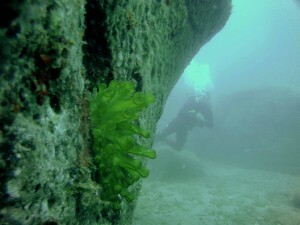 Even if the dive is not accessible from the shore, it’s only at a short distance fro the shore, just outsite Balito. 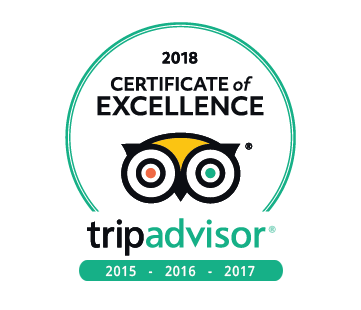 It guarantees a long and relaxing experience. Here you can find a long rugged wall with small caverns along the bottom. 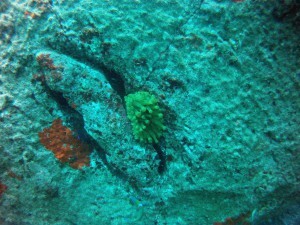 It is the home of many starfish, scorpion fish, parrotfish, trumpet fish, cardinal fish, wrasse, damselfish and many more. 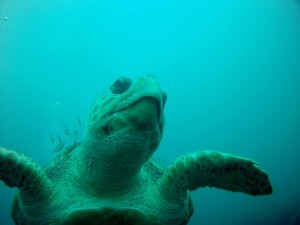 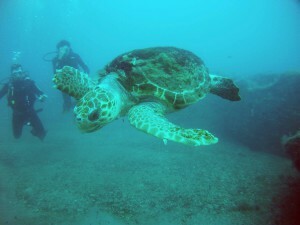 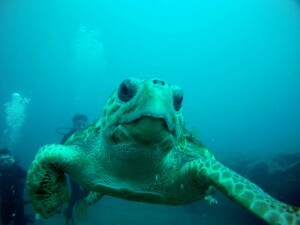 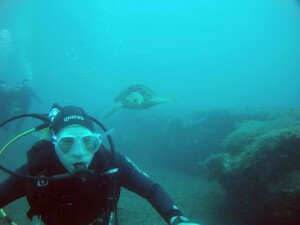 Occasionally you will have an encounter with a turtle. Furthermore, there is this splendid bleu anemone wich always has the cleaning shrimps around it. 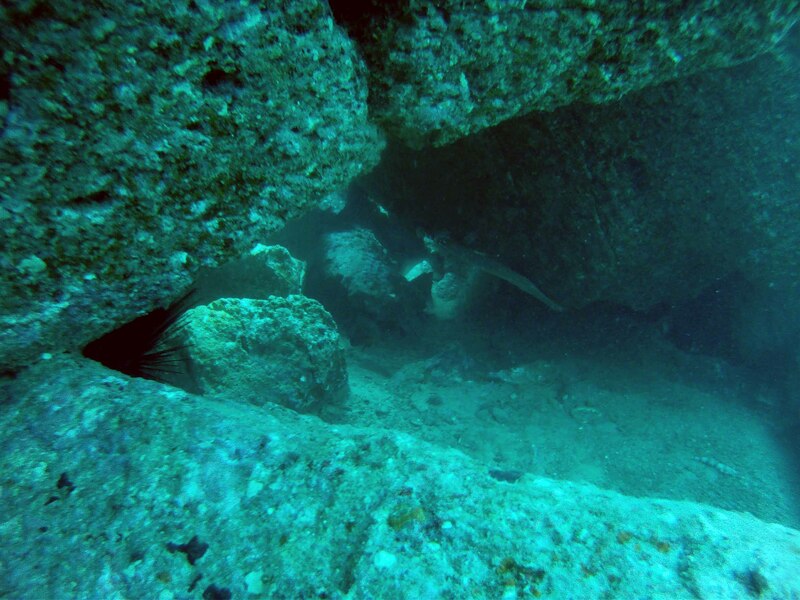 And if you are lucky, there is often rays and angel sharks lurking around. 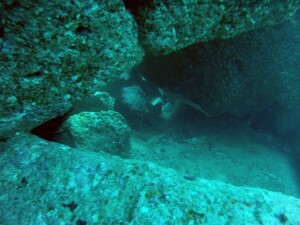 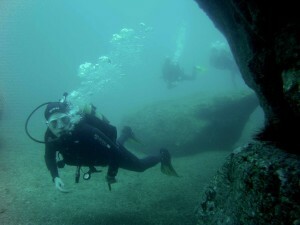 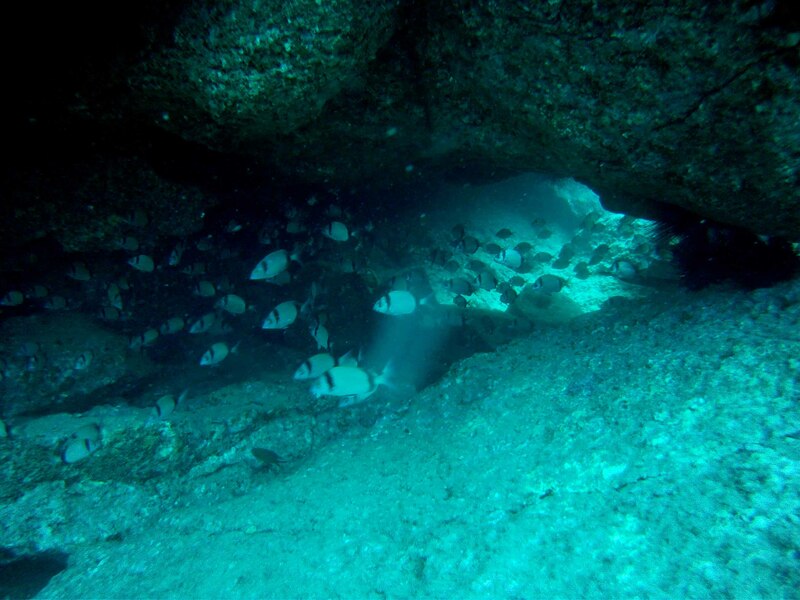 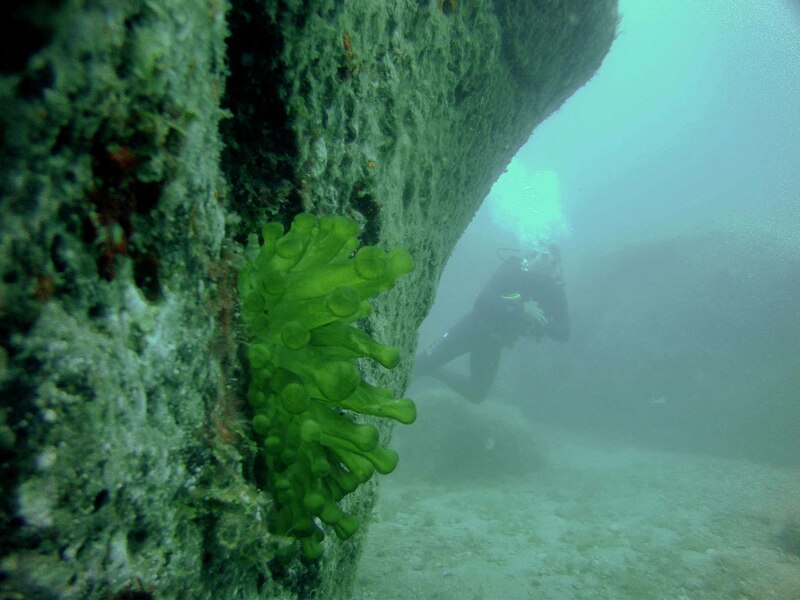 Seen the shallow location it is the ideal for trainees and people doing a first dive after a period of inactivity.